It almost seemed as if America had had enough of Michael Cera. His “quirkier than thou,” acting career had cornered its hipster niche, and then pummeled it with character after awkward character until they just couldn’t take it anymore. As we saw with his two earlier and still best movies, Superbad and Juno, his comic style’s effectiveness is screenplay dependent. Thankfully, Scott Pilgrim vs. the World‘s got one of those, and it doesn’t pummel you with his long pauses or dopey, annoying sensibilities. Another thing this potent, and fully alive comic book adaptation’s got is a visual style. 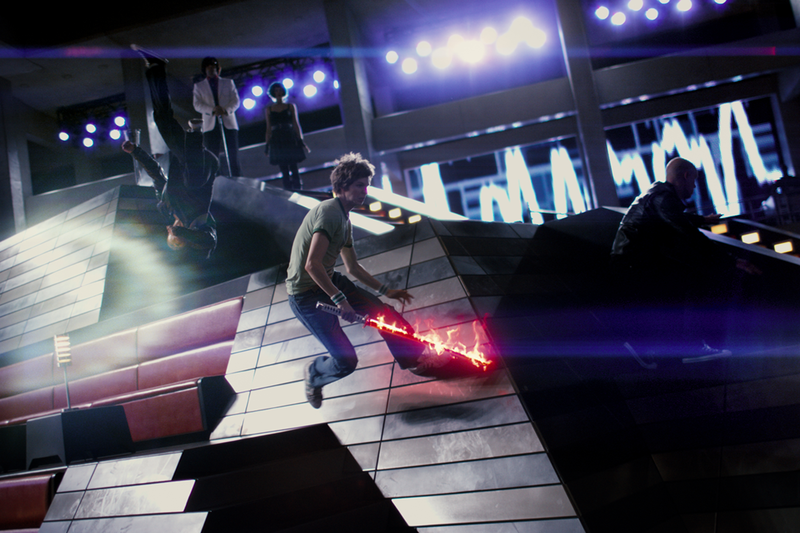 I’d rather be pummeled by fantastic visuals than awkward pauses any day, and director Edgar Wright does this. It can overwhelm at times, and if it were in 3D it would kill you, but Wright effectively makes up for this summer’s lack of visual polish. You’ll feel like you’re watching a music video and playing a video game, especially if you’re familiar with the artistry of both mediums. You must give credit where credit is due: Zack Snyder knows which graphic novels to adapt to the screen. 300 was his claim to highly stylized fame, and now with Watchmen, he tackles perhaps the most important graphic novel of all time. Of course it won’t live up to the source material, even when/especially because he sticks to it almost frame for frame. Why storyboard when it’s already been done for you? This appears to be the only original question Snyder poses. His source material must do all the talking, because he is concerned with stylistic bloodshed by the gallons. As he did in 300, he lets his characters run rampant within the frame, leaving nothing- violent or sexual -to the imagination.